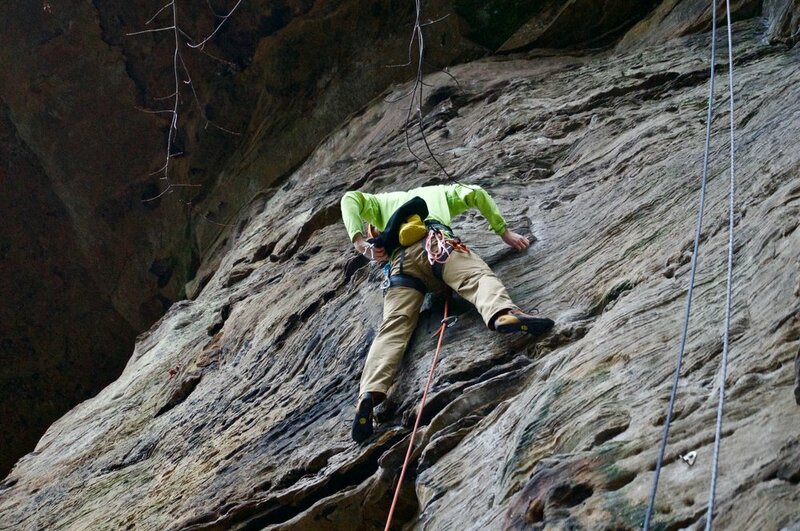 On February 10, 2018 my friends and I went to Red River Gorge, Kentucky to climb. To avoid the rain as much as possible, we climbed Bruise Brothers Wall in the Muir Valley Nature Preserve and Climbing Arena because it has a large roof. Luckily, we got a few good climbs in before the wall became too wet.